Xavi Lloses, musician and contemporary artist, asked for some help in engineering a new audiovisual instrument. He wanted to create a bubble organ, comprised of 24 plastic tubes filled with water at different levels, and some air pumps to create bubbles; depending on the quantity of water inside each tube he pretends the bubbles to be in tune to some or other tone. Xavi also wanted the instrument to be a very spectacular one, so he thought adding color lights to the tubes could be a nice idea in order to accomplish that. -David Sarsanedas has been in charge of the electronic engineering, creating a system for controlling through MIDI the air-pumps on each tube. -Xavi himself has been in charge of the audio engineering, researching on contact microphones to capture the audio of bubbles and water, and the signal processing. -We at Playmodes have been in charge of the software controlling the instrument as well as the lighting design. 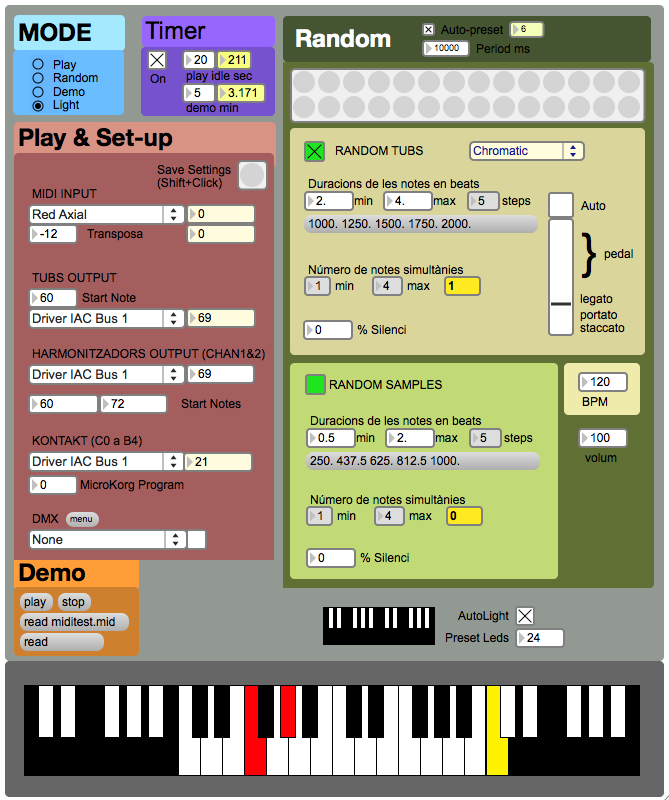 This software is handling all MIDI traffic for the instrument. It reads the MIDI data coming from the keyboard and transforms it according to specific needs of the instrument. It also has an algorithmic music generation module: when no one is playing the real keyboard, the instrument enters in an automatic “random” mode driven by this algorithm, which is capable of rich rhythmic and tuned sequences. 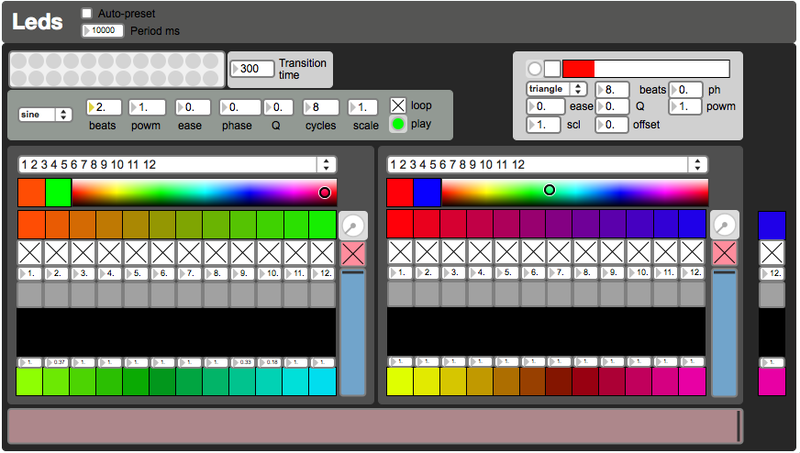 This software module handles the control of each of the 24 RGB LED pars. Each tube has one of this fixtures on its base, so the instrument is a sound and light device. Depending on the characteristics of the music being played on the bubble orgen, a light sequence is triggered, creating a synaesthetic experience.